I have a problem sitting still, I always have. My husband laughs at how many projects I have going on at any given time. As soon as I finish one project I'm already planning five more. Right now I am working on three craft projects and two home improvement projects. My youngest has decided to start his own craft project so that he can work alongside me, it's pretty cute. While I always have lots of projects going on, I am horrible about writing things out and making lists. Grocery lists I'm great about, but not cleaning, chore charts etc. My mother was list obsessed, she had lists that had baby lists. I have a basket, all the things that I need for my various projects are in that basket. When the basket is empty it's time for another project. The basket is rarely empty though, I prefer the chaos of having many projects going on at one time. For New Year's Eve my husband and I bought a bottle of champagne. Then we fell asleep at 10 o'clock and never saw midnight. For Valentine's Day we opened the bottle, but each of us only drank a small glass. Since neither of us are big fans of champagne I decided to try a new recipe for Strawberry Champagne Jam with the leftovers. This recipe has 5 ingredients. 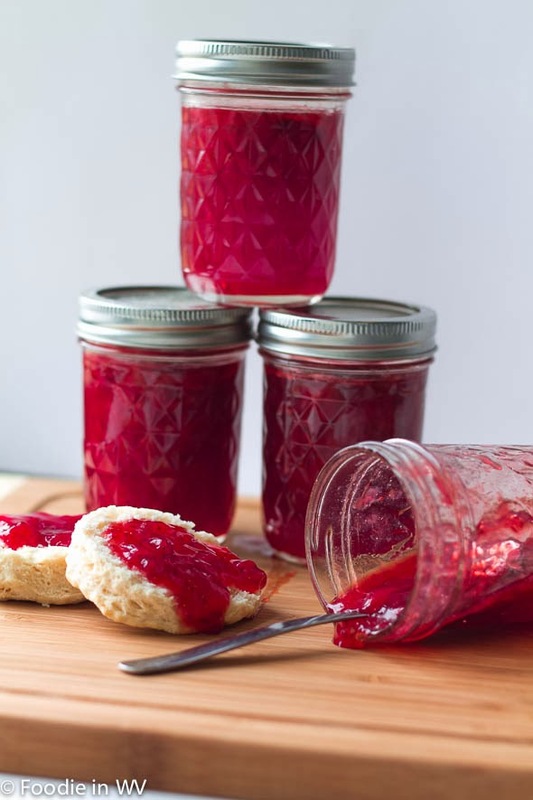 It takes one hour of total time, all of which is active and makes 6 cups of jam. I did make a number of changes to the original recipe. First, I increased the sugar to 2 cups. Since I was using cava, which is very dry and not very sweet I thought the increase in sugar was needed. Second, I mashed the strawberries with a potato masher. I like my jam to be full of fruit and mashing the berries helps in this regard. Finally instead of simmering for 15 minutes and then a 5 minute rapid boil, I boiled the jam until it hit the jam point (which I tested on a plate in the fridge). Then I water bathed for 10 minutes. I ended up with 4 small jars of jam. 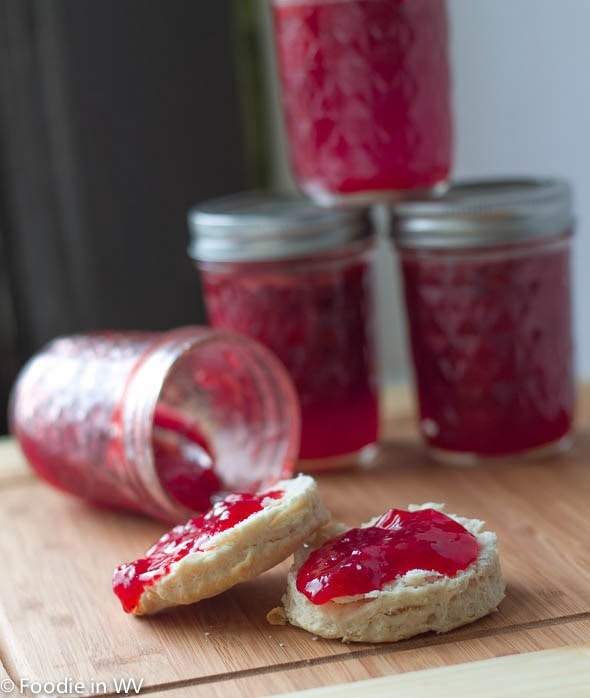 The taste of this jam is sweet, but with a different undertone than regular strawberry jam. 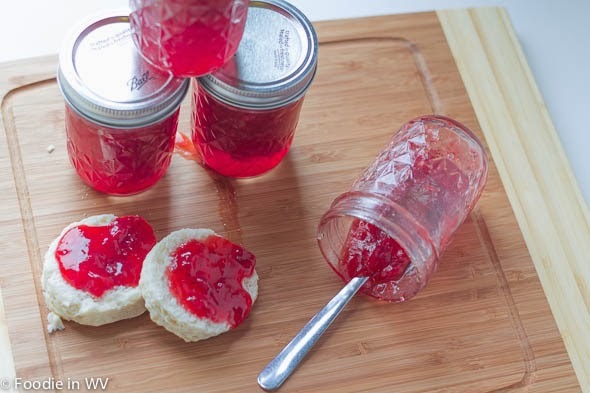 The champagne makes a nice change from regular jam and is a good way to use leftover champagne. 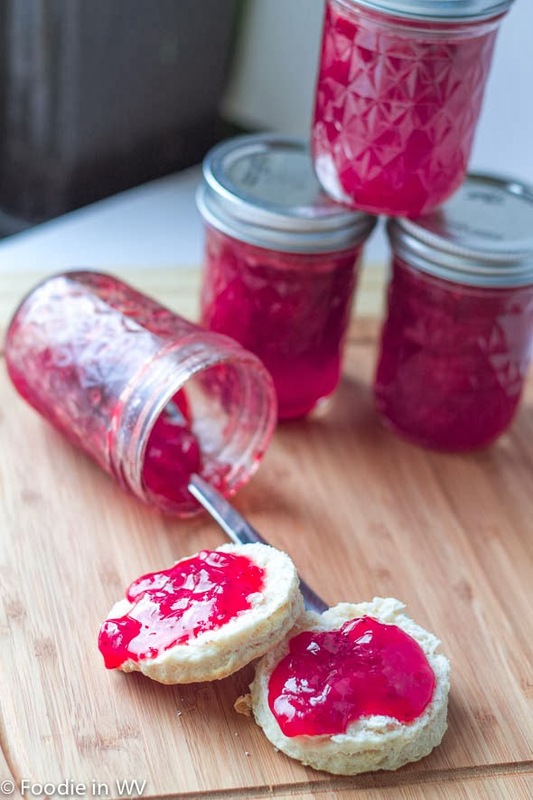 My kids enjoyed the jam with homemade buttermilk biscuits, I ate the jam with coconut flour bread. Both ways it was delicious and something I would make again. For the recipe go to Strawberry Champagne Jam.